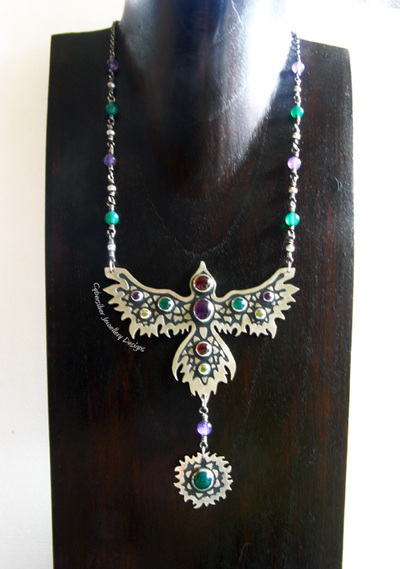 This stunning raven is entirely handmade and set with two garnet, three amethyst, three peridot and three green onyx gemstones. 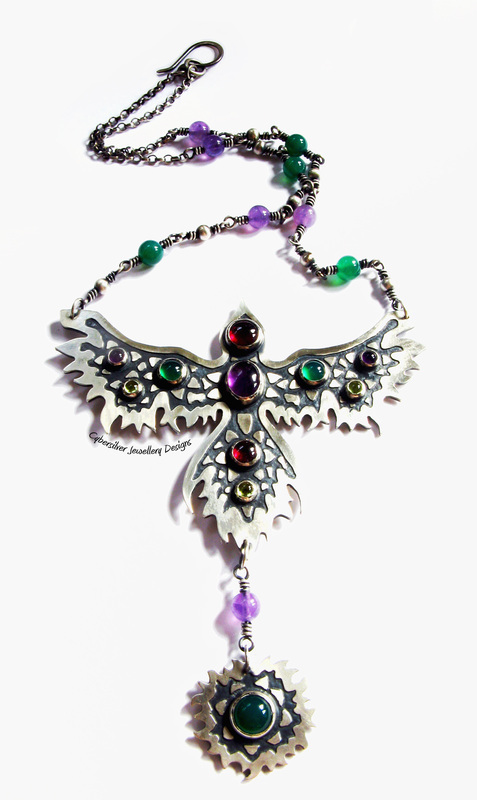 Constructed from thick sterling silver, he hangs from an approximately 16" beaded chain. I have set the chain with four amethyst, four green onyx and eight sterling silver beads and finished it with a handmade silver clasp. The silver has been oxidised, brushed and sealed with a protective wax to emphasise the design. 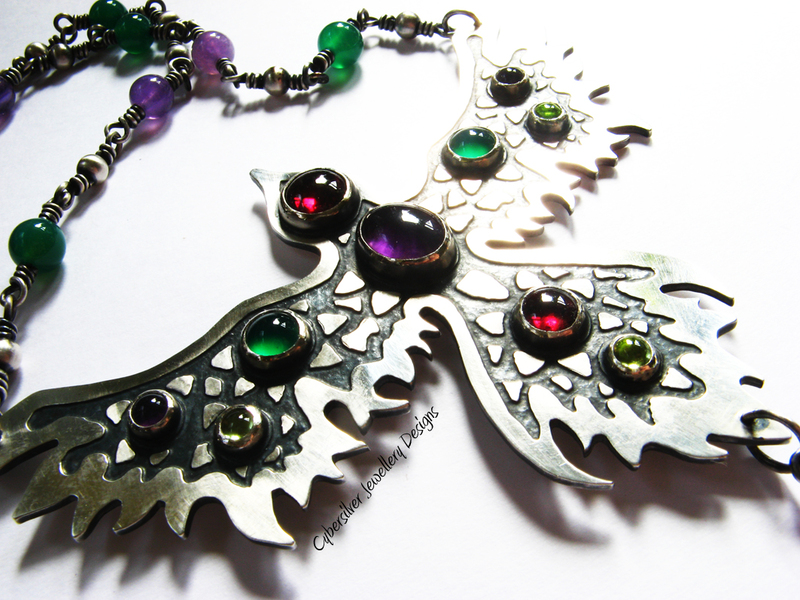 This pendant is a real statement piece and measures roughly 90 x 110 mm.